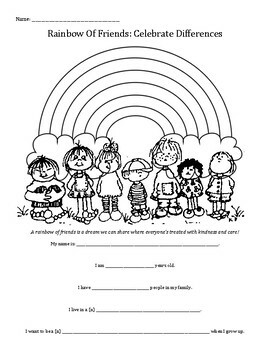 I do this activity with students in my Self-Esteem group after we read "A Rainbow of Friends" by P.K. Hallinan. Friends come in all colors and sizes; they can be funny or serious, musical or athletic, outgoing or quiet. This book reminds children to celebrate their differences because that is what makes each of us so special.